We spend the day at Playa Mia Grand Beach & Water Park, where we take part in a unique hands-on cooking lesson, and then taste the delicious meal that we have prepared, we soak up the sun in one of the most beautiful settings in Cozumel and have fun with the attractions of the water park. We leave the port by coach and after a brief journey we come to the Playa Mia Grand Beach & Water Park, where our cuisine workshop takes place. 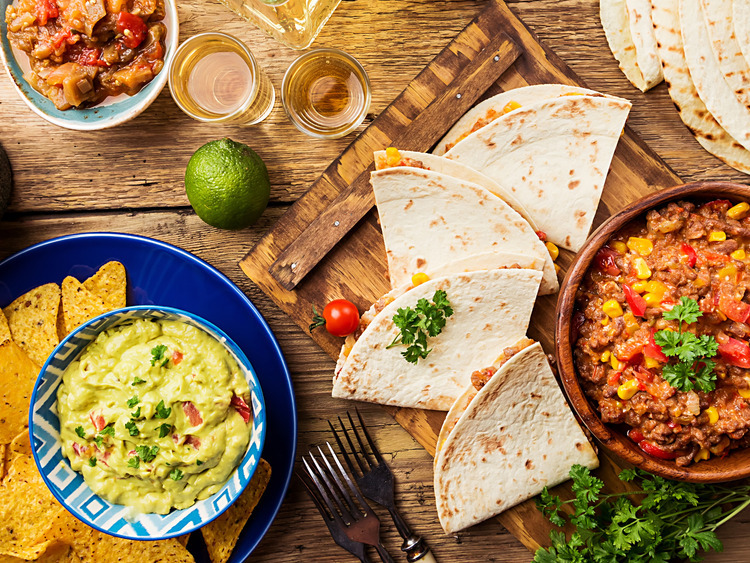 We are introduced to a renowned chef, who guides us step by step as we prepare a delicious three-course Mexican meal, revealing the secrets of Mexican cuisine that is so popular all over the world. Following the chef's instructions and advice we put our culinary skills to the test at our dynamic and fully equipped work station. Once we have completed the preparation phase we can enjoy some well deserved relaxation in the restaurant which boasts a spectacular view of the ocean and enjoy our creations, accompanied by Mexican wine, good company and a breathtaking panoramic view. After the workshop and the tasting we have some free time to relax in the water park where we can sunbathe on the white sandy beach, swim in the crystal clear waters of the Caribbean Sea and enjoy the fantastic amenities of the park, including Buccaneers Bay for children, the Oasis Pool with hydromassage tubs and 60 m long water slides.The excursion includes VIP treatment*: return transfers, fully equipped kitchen workstation, open bar, admission to the water park, deck chairs and umbrellas in addition to access to numerous facilities and amenities, including a large shopping area, the evocative replica of an underwater Mayan city, organised games, mini club, play area, kayaks, paddle boats, trampolines, beach volleyball and hammocks. Optional services and activities such as massages, snorkeling and diving equipment rental, are also available at the park at an additional cost. Snorkelling equipment is not included, but may be hired on the beach.